Metal skins. Galvalume: Steel color or Mill is our standard finish. Galvalume is steel coated with a combination of a galvanizing and aluminum materials. It is more resistant to corrosion than galvanized with the strength of steel. 26 gauge is the minimum thickness used. It is also available in white or stainless steel as an optional feature. Dade Engineering uses Panel Core 20 Extruded polystyrene foam from The Dow Chemical Company with R-Values of R-29 for coolers and R-32 for freezers. R-value is the resistance to heat flow. The higher the R-value, the better the insulation. Light weight pre-assembled easily assembled minimum of 3 positive quick locking (cam lock) fasteners. 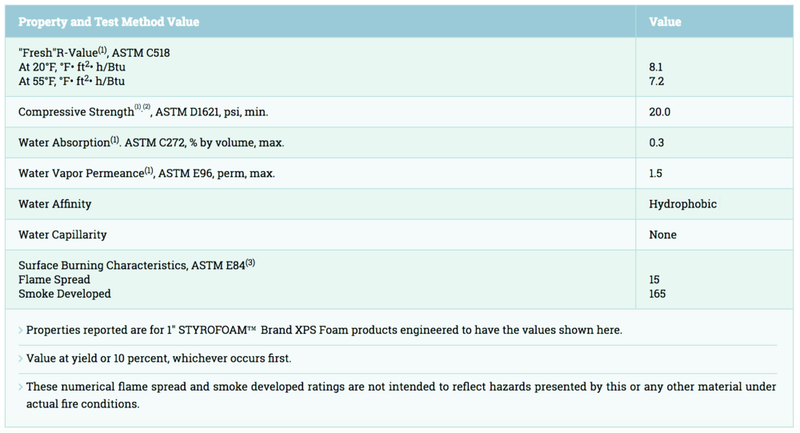 Panel sealant is ordorless, non-corrosive, insoluble, will hold seal though temperature range of 160° to -50° on N.S.F. walk-ins. Factory installed NSF vinyl panel gaskets are used. Panels are made of 26 ga Mill finished Stucco embossed Galvalume skin, 4" Extruded Polystyrene Foam (EISA Approved). Lightweight overlapping or in fitting stock sizes available. Galvalume or stainless steel. Polystyrene insulation with closed cell neoprene gasket flush-mounted switch with pilot light factory wired to vapor-proof light on interior flushed mounted digital thermometer. Diamond plate kick plate, chrome plated hardware, key-latch, inside safety release, spring door closure and door sweep. 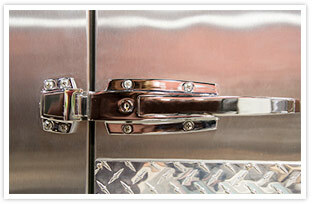 All door hardware is chrome plated. Inside safety release, factory wired heater cables on freezer doors. Vapor proof light w/ glass globe, 4' LED cooler/freezer lights. 4' Fluorescent cooler/freezer light.